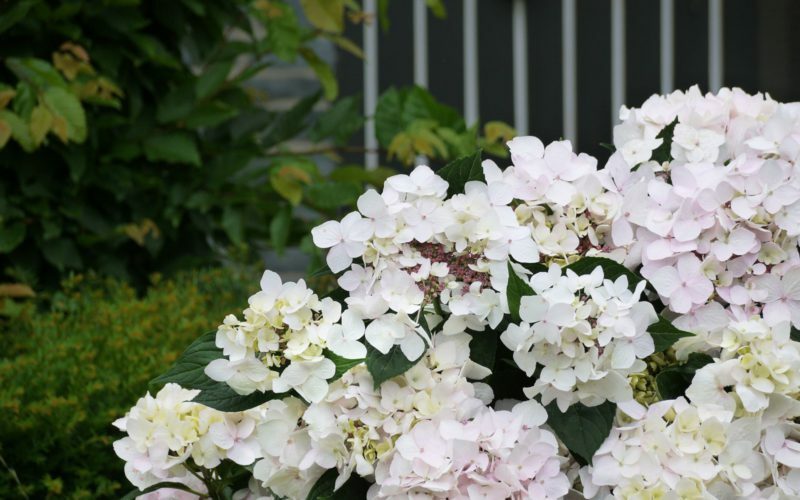 Striking top-class plants are: Hydrangea Pinky-Winky, Mega-Mindy and Bobo. 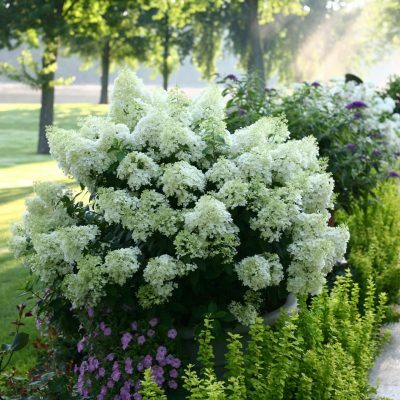 These three cultivars are strong plants with magnificent panicles which do not get blown down or lie sodden on the ground after a heavy shower of rain. 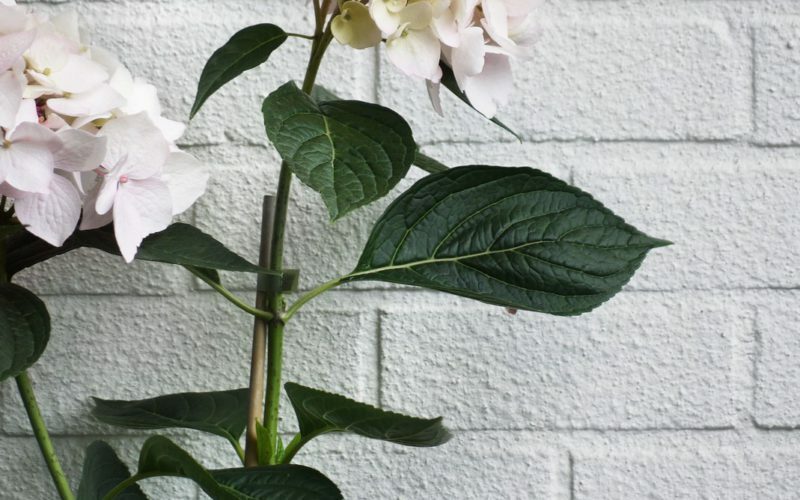 Another beautiful addition to your garden: Hydrangea Cloudi, a hortensia that looks very romantic, but is just as strong and resistant as the other varieties in our range. 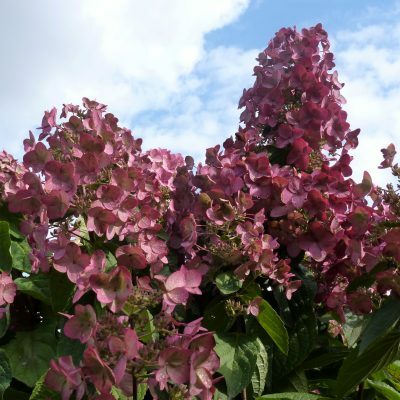 This plant is the very successful result of cross breeding between the Hydrangea serrata and Hydrangea macrophylla. The budding flowers are white but they blossom into soft cloud colours: either pastel blue or powder pink, depending on the soil acidity. The flattened spherical bunches are sometimes completely filled with infertile flowers, and at other times are sparser, with fertile flowers. 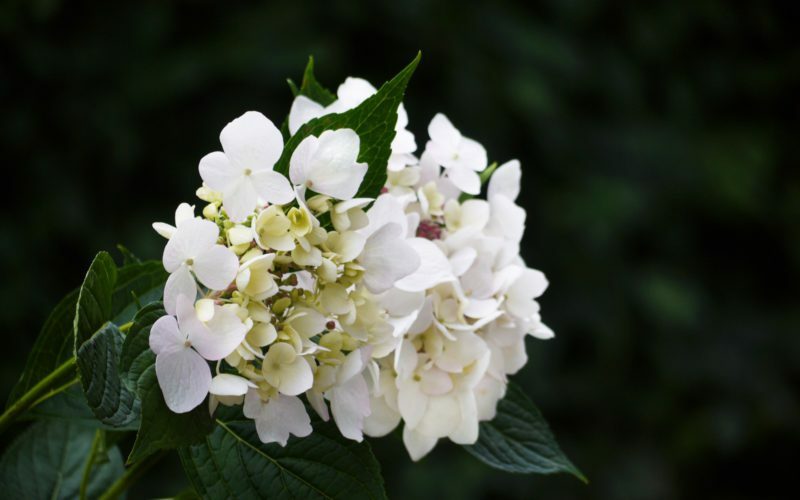 Unpruned, a Hydrangea Cloudi grows to a height of 80 to 120 centimetres, while when pruned it reaches 60 to 80 cm. 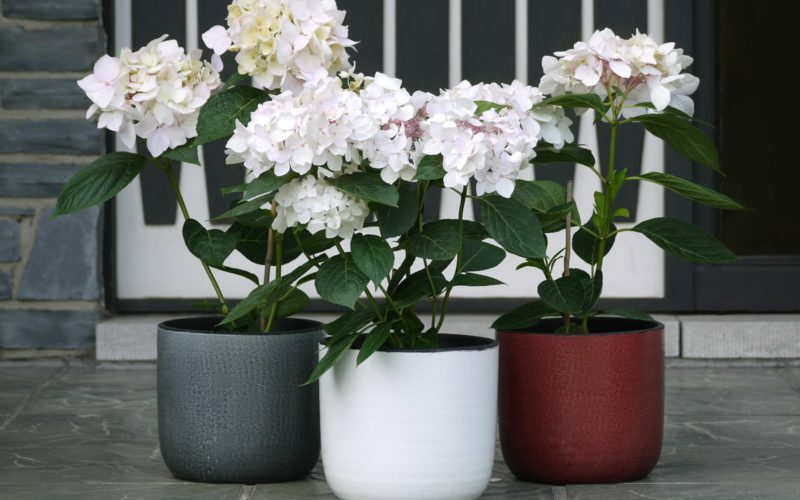 The plant grows best in full sun or partial shade. Note: if planted in areas of full sun, the soil must be able to stay sufficiently moist in dry months. In any case, the plant can survive in moist soil. Normal, humus-rich compost is ideal. 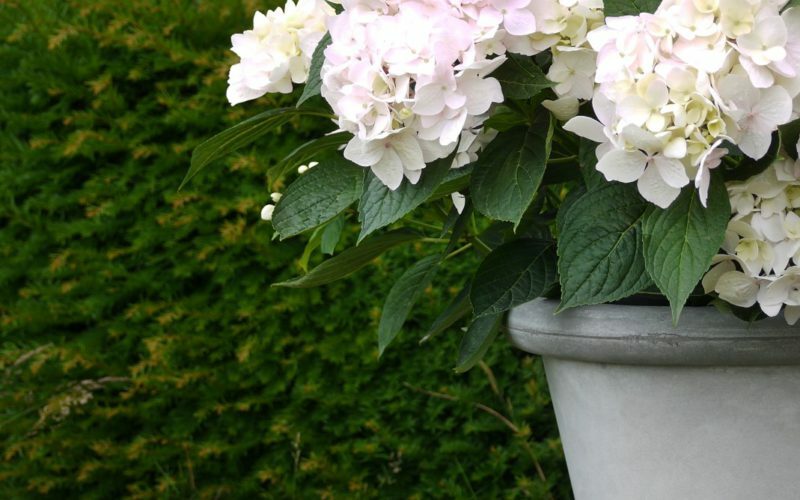 We always sell the Hydrangea Cloudi in pots, so it can be planted the whole year round. When you plant it in open soil, add organic fertilizer. Regularly add some compost around the plant. 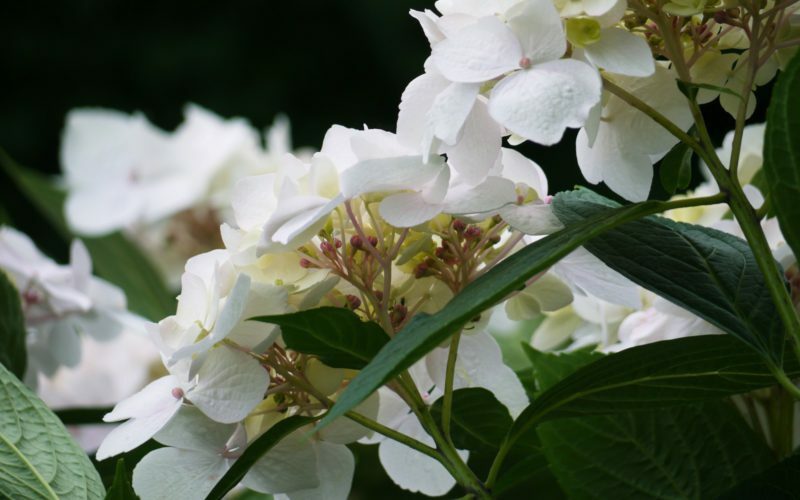 In March, prune by cutting off the dry flowers until just above the two large buds, which already contain the new flowers. 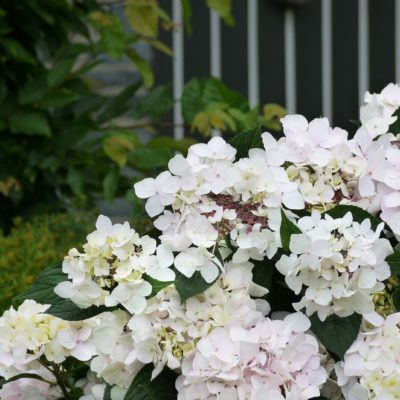 Do you prefer to keep your Hydrangea Cloudi compact? Then cut off half of the branches every spring, and the other half will produce blossom. The following year, cut off the branches that blossomed, and the other half will now get the chance to bloom. 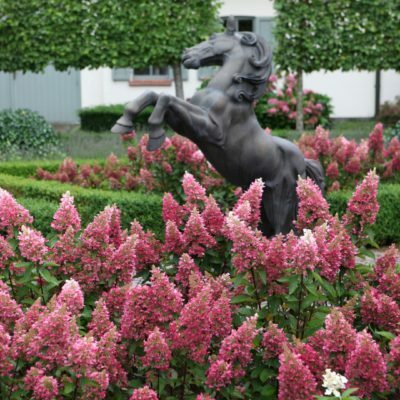 If an overnight frost is forecast in April or May, protect the buds with a horticultural fleece.